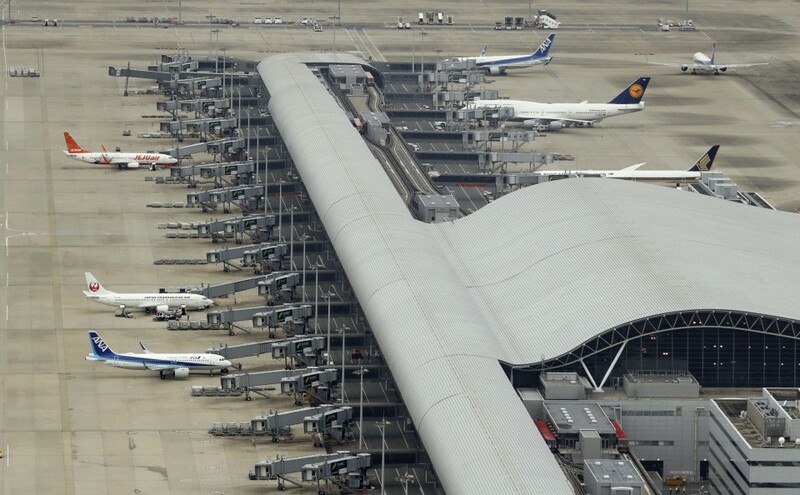 A runway at western Japan's major international airport reopened Friday after being closed for 10 days due to flooding caused by a powerful typhoon earlier this month. Kansai International Airport, which sits on a manmade island in Osaka Bay, plans to resume around 40 domestic and 80 international services, equivalent to around 30 percent of the hub's pre-typhoon traffic. Typhoon Jebi passed through western Japan on Sept. 4 bringing storm tides that flooded one of the airport's two runways and the No. 1 terminal building used by most airlines and typically servicing about 400 flights daily. The storm broke a tanker ship from its moorings and sent it crashing into the sole road and rail bridge connecting the airport with the mainland, causing major damage and stranding an estimated 8,000 passengers and staff at the airport. 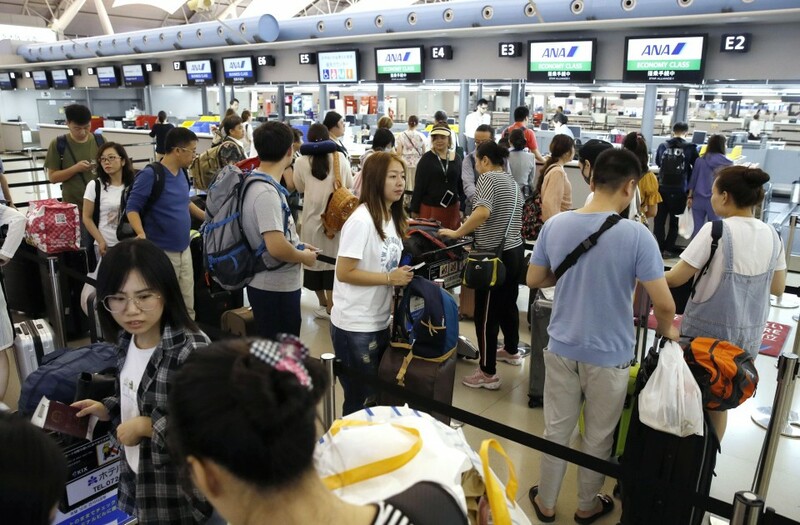 Chief Cabinet Secretary Yoshihide Suga acknowledged that foreign visitors at the airport were not given sufficient information during the disaster, and said transport and relevant authorities will take steps to improve this situation. "While the airport operator worked to provide guidance in English, people have pointed out that not enough information was provided," said Suga. "We want to work toward giving guidance in languages including English, Korean and Chinese and providing devices for charging mobile phones in the event of a disaster," he added. Many foreigners faced difficulties during the disaster due to language barriers and were seen wandering inside the facility, worried and frustrated at being unable to obtain information on emergency transportation services and accommodation, among other things. The airport operator expects to continue steadily increasing flights, restoring traffic to around 50 percent of normal by next Thursday. The following Friday it aims to reopen the northern part of the flooded terminal building. On the same day, rail services across the damaged bridge will also likely resume, if no significant damage is found, according to the rail operator. The airport partially reopened on Sept. 7, with traffic at around 20 percent of pre-typhoon levels. The resumption of the runway was welcomed by those who had been planning to fly to and from the airport. "I'm glad because I had been planning (this trip) since June," said 59-year-old Hajime Hirashita, who was on his way to see his son in Tokyo with his wife. Yukako Morita, 26, from Suita, Osaka Prefecture, who was going to meet a friend in Busan, South Korea, said she was "lucky" because her flight resumed while other flights by the same airline had not. In recent years, Kansai airport has drawn a growing number of foreign travelers, particularly from China, South Korea and Southeast Asian countries. The facility was used by around 80,000 passengers a day on average before the disaster.